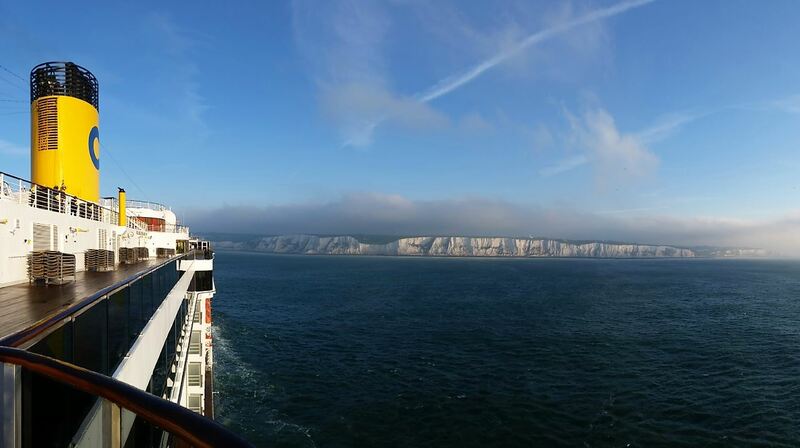 It’s been at least 20 years since we were face to face with the famous White Cliffs of Dover. So you can imagine our excitement when the white limestone rocks appear on the horizon, bathing in the warm morning sun. But before we can set foot on British soil we, just like the other 2.000 passengers, have to go through British immigration. Since we know from experience that this can take quite some time (and let’s be honest standing in line is really just a waste of time), we decide to take the time and have a relaxed breakfast first. The Perla del Lago Buffet on Deck 9 offers, in perfect symmetry, four small stations with breakfast, lunch and dinner. Because the food is presented in smaller quantities, it is constantly being replenished and it is always super fresh. The only downside we found is that, because the food is only offered at the four small stations, you always have to stand in line and wait your turn, instead of just going and grabbing whatever you want. It’s almost 10 o’clock when we leave the ship to present ourselves to the immigration officers. Turns out that having breakfast was a good idea as there are literally no passengers in front of us and we can immediately walk up to the friendly officers. A quick look at our ID-cards and were off. We wonder if getting into the UK will go as smooth after the famous Brexit. Not quite sure wether we should walk to the city centre of take the shuttle bus we head out to the info desk inside the terminal. Turns out that walking to the centre will take about 30 minutes and walking up the the castle and or cliffs another 30 minutes. We decide to go for the easy option and pay 7 euros for the bus that takes us from the terminal to the center, the castle and the Cliffs. In the center of Dover we quickly pop in to the tourist office for some information leaflets before boarding the bus to the Cliffs. 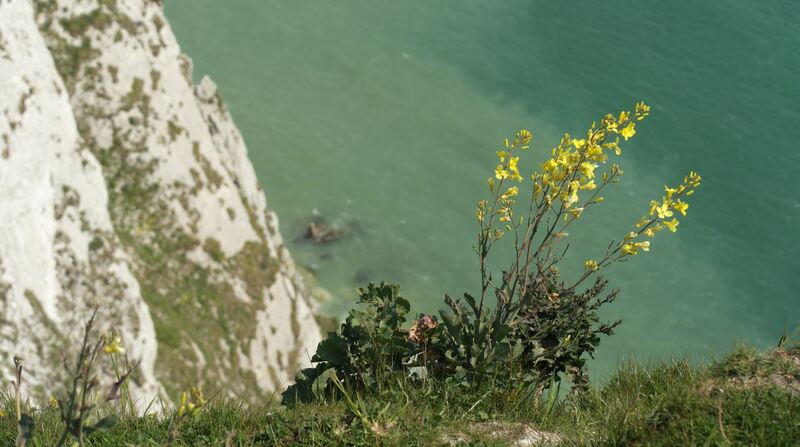 The charming double-decker bus takes us through narrow and especially steep streets past Dover Castle to the entrance of the world-famous chalk cliffs. From the visitor center a (wheelchair accessible) footpath has been laid out to a vantage point. We decide to explore the rolling hills on the path that runs next to the edge of the limestone cliffs. The view of the harbor, the sea and the arriving ferries is phenomenal. The grassland on the limestone cliffs itself contains an abundance of wild plants that attract butterflies and (some really annoying) bugs. 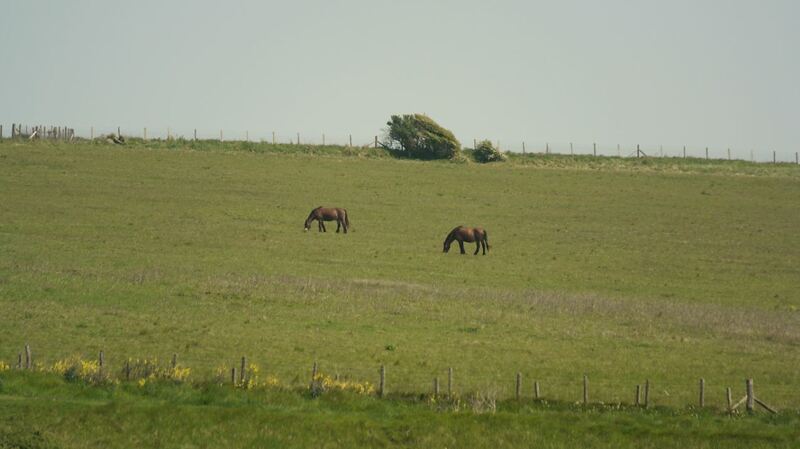 The most popular inhabitants of the limestone cliffs, however, are the Exmoor ponies that graze the grasslands which stimulates the typical plants to grow. 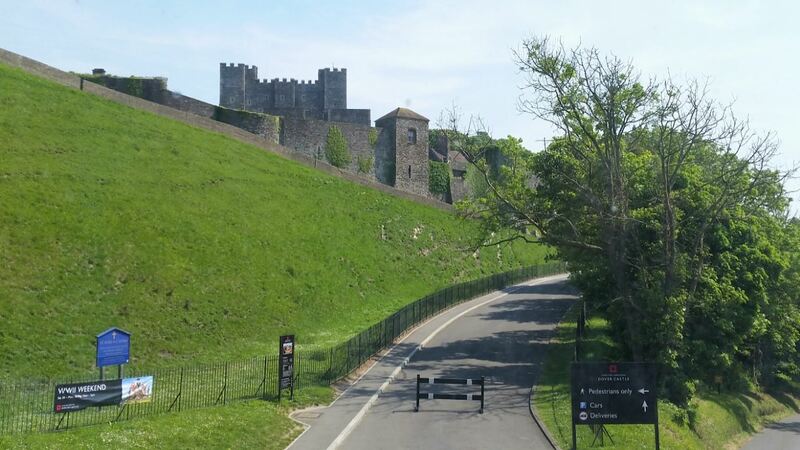 On the way back the bus stops at Dover Castle to allow visitors to check out the impressive Dover Castle. Unfortunately we’ve enjoyed the beautiful nature at the Cliffs for too long and there really isn’t enough time left to fully explore the castle that has protected Great Britain since the 12th century. 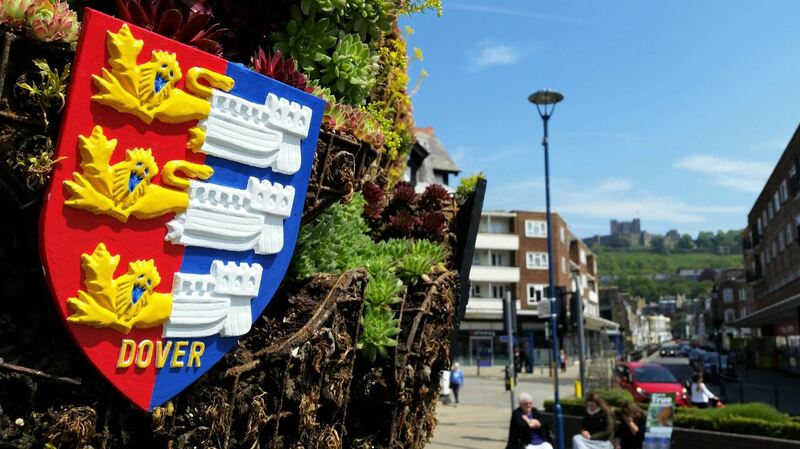 So we decide not to visit the castle but instead explore the center (as in do some shopping) and pebble beach of Dover. As the sun is starting to set it is time to head back to the ship and say goodbye to historic Dover. With all guests safely on board Costa Mediterranea pulls out of the port towards her next destination. For us that means it’s time for a snack and a drink, a musical ode to the four elements and an extensive Italian meal. Tomorrow we’re in La Douce France! Today was our second day of our 4-day voyage on board Costa Mediterranea. 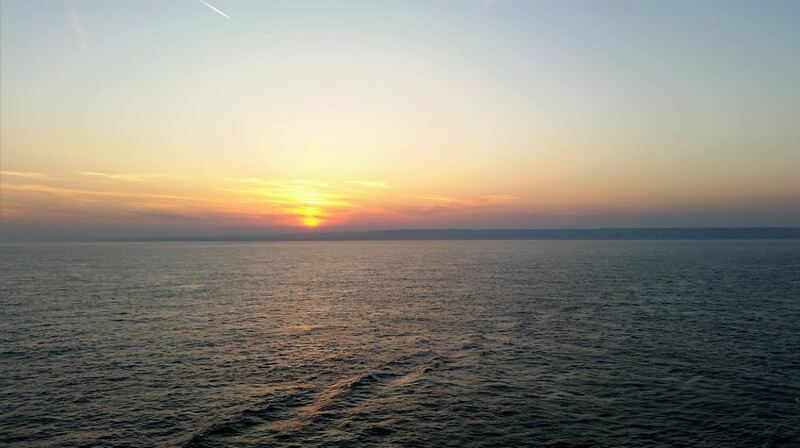 Make sure to read all about our first day aboard in 4 days on board Costa Mediterranea – Benvenuti a bordo.